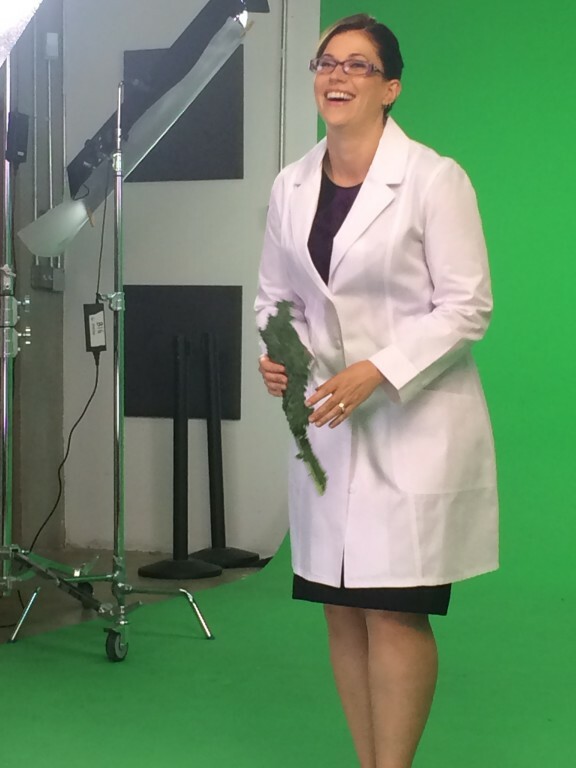 I am super excited to finally announce Paleo Bites, the television show pilot that I’ve been working on with ECG Productions (the post-production producers of In Search of the Perfect Human Diet) for the last two years! 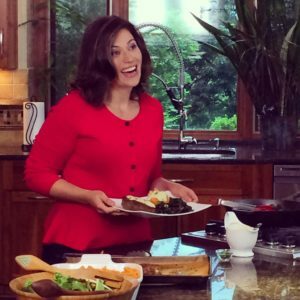 Please help me get the television networks excited about this show so we can get the first Paleo-focused cooking show on network TV! See below for more! Paleo Bites is designed to bring the growing popularity of the Paleo diet to everyone’s kitchen with delicious recipes for home-cooked meals made with nourishing whole-foods ingredients. 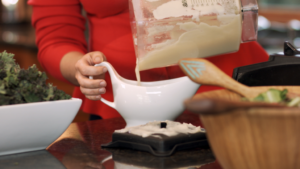 Each week, we’ll source high quality ingredients and use them to prepare new amazingly flavorful dishes, complete with tips on making the Paleo diet work in your home. Paleo Bites goes beyond just recipes and shares the science behind this powerful way to take control of your personal well-being. And, because the Paleo approach doesn’t just end with our diet, each week, we’ll learn some important tips for staying active, managing stress, and other important aspects of a healthy lifestyle. It is my hope that Paleo Bites will introduce the Paleo diet and lifestyle to a new audience, making this way of eating and living accessible to millions more people. Paleo Bites isn’t like any show you’ve seen before: it brings health to your home through deliciously simple meals, served with a side of science and a dash of healthy-living how-to’s. Watch the full Paleo Bites pilot episode! 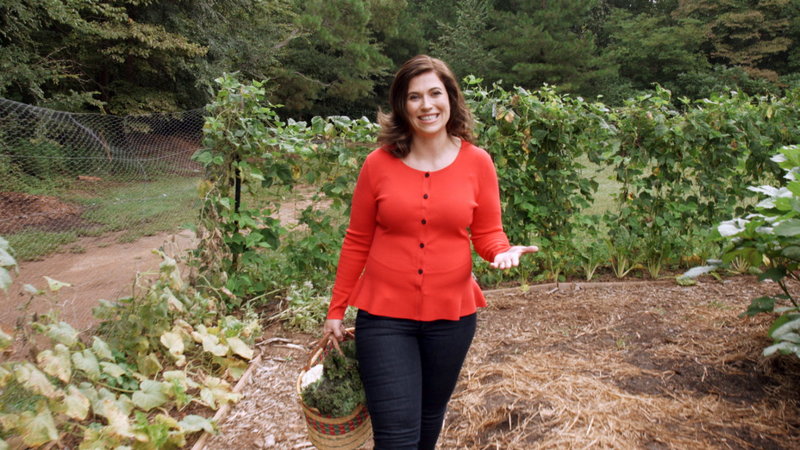 I need your help to get Paleo Bites on the air! If you’re excited about this television show (which I hope you are! 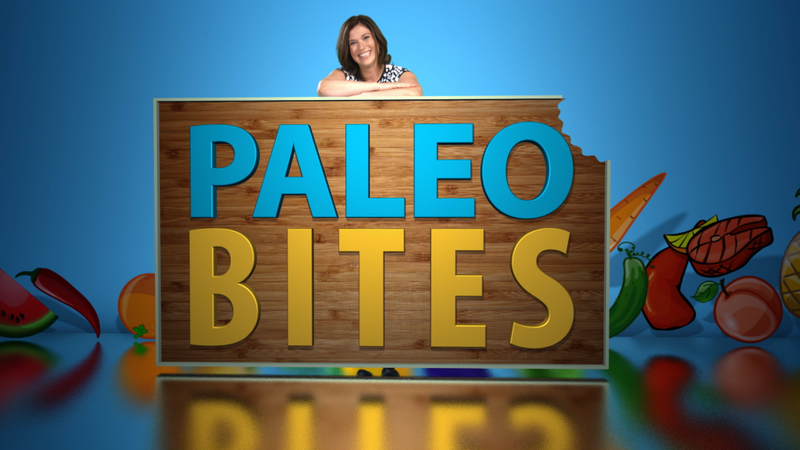 ), please take a moment to tell the television networks that you want to see Paleo Bites on TV! You can do this by commenting directly on YouTube or below!!! WANT THE RECIPES FROM THE PILOT? CLICK HERE TO DOWNLOAD ALL FIVE EXCLUSIVE RECIPES FOR FREE! Spread the word in any way possible. Comment on this post and share your enthusiasm. Share this post on social media. Tell your friends and family. Watch the trailer and give it a thumbs up. Watch the full episode and give it a thumbs up too! Use #Paleobitestv and post your excitement on social media. Go tell your favorite television network that you want to see Paleo Bites on TV directly or via their social media sites! I’m excited to tell you more about Paleo Bites. Beyond being a tremendous resource for the millions of people already following the Paleo diet, it is my hope that Paleo Bites will introduce the Paleo diet and lifestyle to a new audience, making this way of eating and living accessible to tens of millions more people. 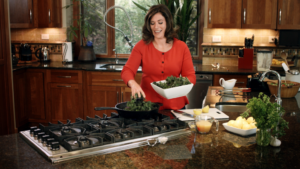 The idea is to demonstrate the huge array of delicious meals that can be enjoyed on a Paleo diet, helping people implement the Paleo diet in their home, emphasizing the importance of lifestyle factors in overall health and wellbeing, all while simultaneously educating people into the scientific foundations of this way of eating and living. 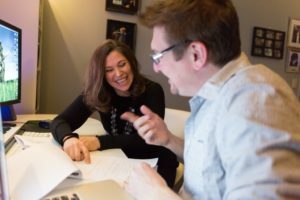 A huge part of creating the Paleo Bites pilot episode was establishing a structure and style for the show. Each episode will begin with the ingredients. This includes explaining what foods to eat on the Paleo diet, how different foods are produced, what to look for when choosing ingredients, and where to find the highest-quality foods. 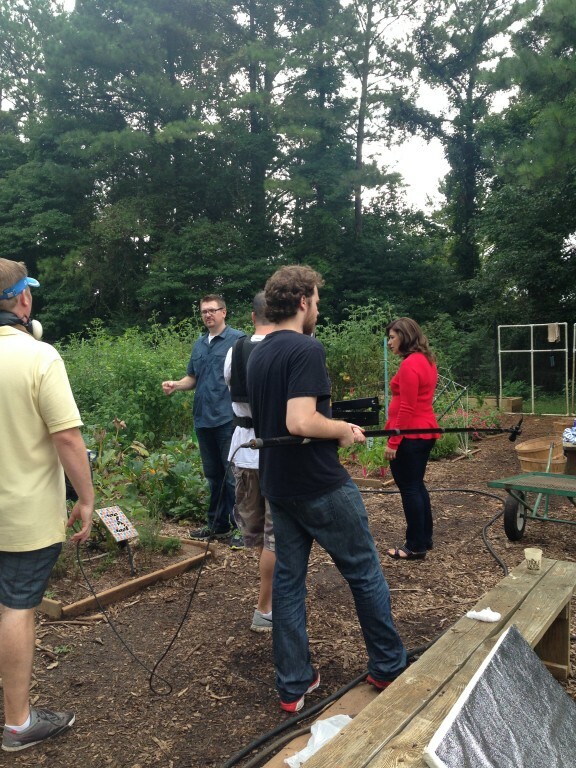 In the pilot, we begin in the Unity Garden at the Chattahoochee Nature Center, which supplies fresh produce to local charities. Vegetables grown on organic and sustainable farms have more nutrients and more flavor—and if they’re locally-grown, that’s even better. Then we head over to Whole Foods Market in Marietta, Georgia, where I explain the benefits of pasture-raised chicken and pick up the remaining ingredients we need for our meal. 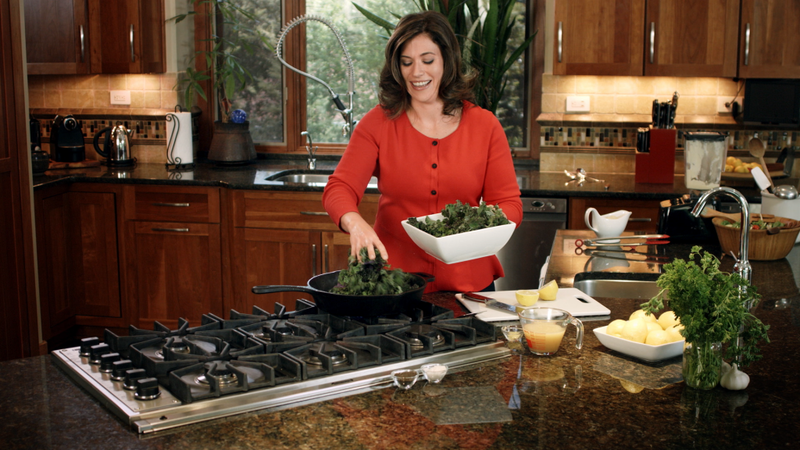 Then, I’ll make a delicious home-cooked meal using nourishing whole foods ingredients. This includes a focus on easy-to-find budget-friendly foods that can be simply prepared to create a surprisingly delicious meal. There’s no need to feel deprived of flavor on the Paleo diet or spend all day in the kitchen! In the pilot, I make Pecan-Crusted Chicken Breast with Cauliflower Gravy and my famous Bacon-Braised Kale! Every ingredient used to make this amazing meal can be found at any grocery store. The meal is also simple-to-make and packed with nutrients! Each episode, I’ll dive into the science behind the Paleo Diet in segments called Science Bites. This includes explaining the basic tenets of the Paleo diet, the nutritional value of individual foods, and busting many diet myths! 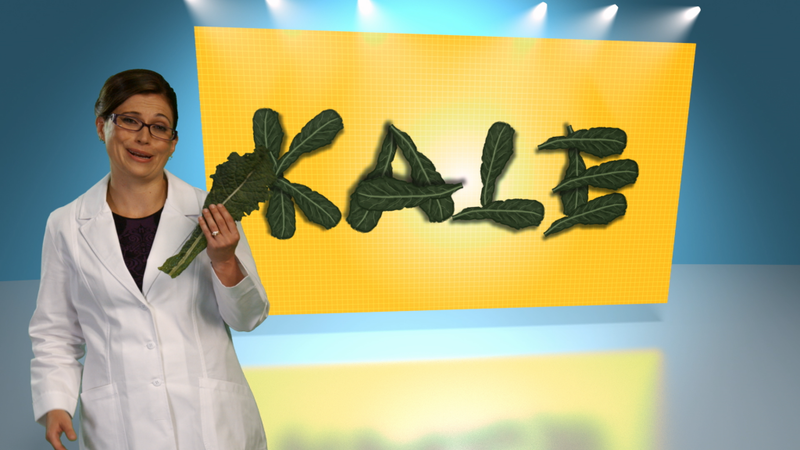 In the pilot, I explain why kale is considered a superfood. Kale has more essential nutrients per calorie than just about any vegetable—you’d have to eat three heads of iceberg lettuce to get the same nutritional value! I also explain why bacon isn’t bad for you, and why it doesn’t cause heart disease or cancer. And we’ll finish every episode with the nutrient breakdown of our meal. We’ll also discuss an important aspect of a healthy lifestyle every week in a segment called Lifestyle Bite. This includes a variety of different topics, from simple movements you can do anywhere, to the importance of sleep, to concrete tools for stress management. Being healthy is more than just what you eat, it’s also how you live. In the pilot, I visit with my friend and fitness guru Charles Mayfield of Atlanta Strength & Conditioning and Paleo Comfort Foods to do prisoner squats, a movement so accessible you can do them anywhere—even the kitchen! One day, in the fall of 2013, I was sitting in the waiting room of our local Dance School while my youngest daughter was in ballet class, working on illustrations for The Paleo Approach. A gentleman asked me about my computer (it was a Surface Pro, which had only recently been released). As I explained what I was working on, he shared that his son was a producer and they had just finished working on a documentary called In Search of the Perfect Human Diet. It just so happened that I had watched this documentary only the week before and loved it! It was a serendipitous connection! A few weeks later, I toured with ECG Productions and met the entire team! 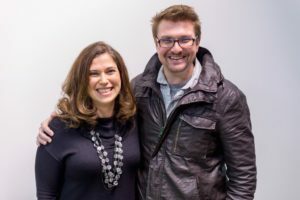 We all hit it off immediately, in part because of our shared passion for the Paleo diet, but mostly just because our personalities are great fits for each other. And by the end of the tour, bringing the Paleo diet to the medium of television was our common goal! And I had agreed to co-create, co-produce and star in a television pilot! Squee! 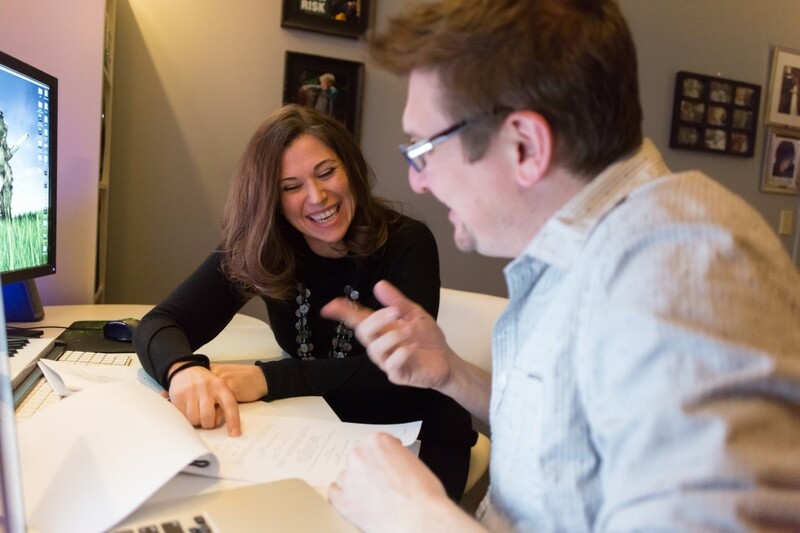 Pre-production on Paleo Bites included numerous meetings to establish a structure and style for the show (that all future episodes would follow), and eventually a script for the pilot. We all wanted the show to be fun, entertaining, educational, and engaging. Fortunately for me, I’m a natural goof ball which lends itself well to entertaining cooking shows! In terms of style, we needed to create animations, sound and music landscapes, transitions, commercial bumbers, the opening, a voice and style for me, and even figure out the type of food that I would prepare. It was months of discussions (including a large amount of laughter) and decisions before we started filming. Content was largely up to me. I designed a meal for the pilot that would be approachable, delicious, easy-to-make, nutrient-dense and only use ingredients that could be inexpensively purchased at any grocery store. And in structuring the recipes for the entire first season, keeping Paleo accessible, exciting, and amazingly flavorful were my goals! Paleo Bites is designed to be an entertaining and educational cooking show for members of the Paleo community but also to bring Paleo to millions more people through the wonderful medium of television. 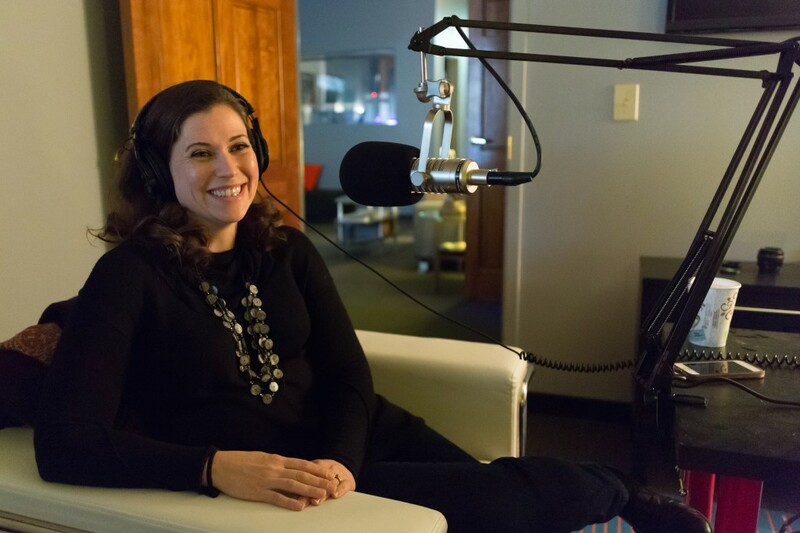 Because of the likelihood that many people will discover the Paleo diet through Paleo Bites, it was important to me to focus on what the Paleo diet is (rather than what foods are eliminated), which guided how the Paleo diet is defined in the show. The opening line is “The Paleo diet is simple. It’s a nutrient-dense whole foods diet based on eating a variety of quality meat, seafood, vegetables, fruits, eggs, nuts and seeds. It improves health by providing balanced and complete nutrition, while avoiding most processed foods and empty calories.” The show as a whole, focuses on the nutrient-density arguments for food choices, as well as the contemporary science supporting the Paleo diet (rather than the evolutionary biology argument, which I consider to be the hypothesis rather than the evidence). 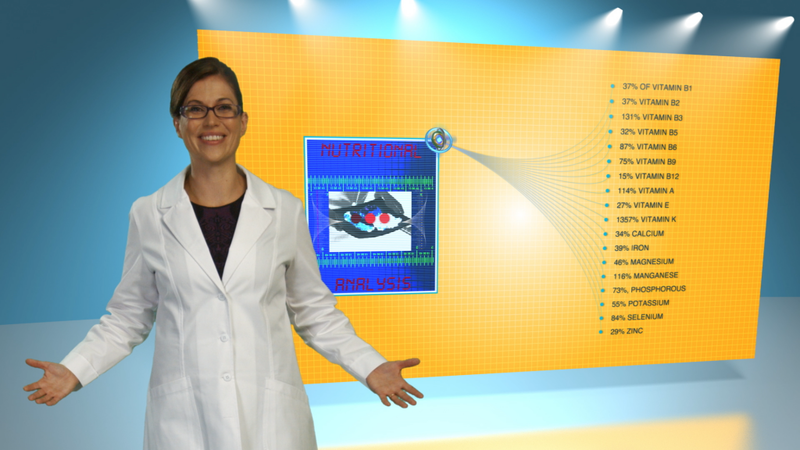 The Science Bite became a fantastic device to explain the whys behind a food choice or other tenet of the Paleo diet, as well as an opportunity to be quite dorky! Some of my favorite gags are in the Science Bite segments. The Science Bites were filmed on a green screen and then animated by the talented team at ECG Productions. 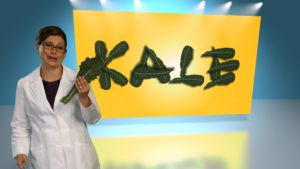 I felt firmly that the show needed to present all aspects of the Paleo lifestyle, even though it’s a cooking show. This meant incorporating educational elements on activity, sleep, stress management etc. 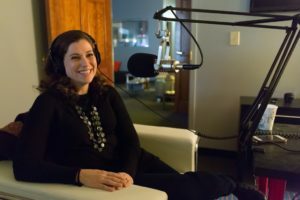 The Lifestyle Bite became the counterpoint to the Science Bite, and my opportunity to discuss a wide range of lifestyle topics. For the pilot, Charles Mayfield of Atlanta Strength & Conditioning and Paleo Comfort Foods graciously accepted my invitation to appear as the expert for this segment, instructing me on the proper form to do a prisoner squat! It’s our intention to draw from the leaders in the Paleo and alternative health communities for every Lifestyle Bite, which I think will be amazingly fun! We filmed the pilot over four days, and five locations: Whole Foods, the Unity Garden, Atlanta Strength & Conditioning, the studio at ECG Productions and the Brill family’s beautiful kitchen. It was like nothing I’ve ever done before, having my hair and make-up professionally done, performing the same lines over and over for a camera, being surrounded by microphones, learning which camera to talk to, walking and talking simultaneously for the Steadicam shots! It was an incredibly steep learning curve, but a challenge I was ecstatic to rise to. As production completed, the excitement among the production team was palpable. We really have something here, something special, something top-notch quality, something that will change lives. And we formed a family, one that I am looking forward to spending much more time with in the future! After production, we went into months of post-production. This involved editing, sound design, color grading, voice over work, and many many many meticulous hours pulling together a TV-worthy pilot. It was delightful working with other perfectionists who could understand what I meant by trimming a quarter second off of one shot, or reducing the volume of one noise by 10%. And the finished product demonstrates the talents of this amazing team. Following post-production, we’ve been assembling our package to go to the television networks. Now, we will see if all our hard work has paid off. Now, we’ll see if the outside world is as excited about Paleo Bites as we are. That’s right, we’ve created a pilot, a vision for a show, but now we need a television network to buy it, to commit to funding, producing and airing it, and to making this dream a reality. And this is why I need your help! Please help us demonstrate the demand for a Paleo cooking show on TV by watching the pilot, giving it a thumbs up and commenting here or on YouTube to show your support! 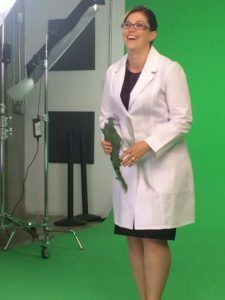 I have had the great pleasure of working with ECG Productions in the making the Paleo Bites Pilot. ECG Productions will be acting as script-to-screen producer for Paleo Bites. ECG is a full-service video production, post-production and digital animation house located in Atlanta, GA that provides pre-production, scriptwriting, location and studio production, editorial, motion graphic design, digital animation, compositing, audio post-production, sound design, original music composition, Blu-ray/DVD mastering, video compression and marketing services. 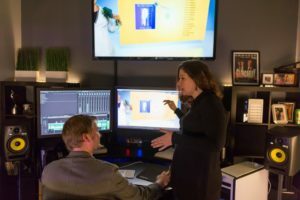 The ECG Productions team has over 15 years of experience producing over 1000 episodes of broadcast television, 7 feature films, and countless commercials, industrials and music videos; many of them under extremely tight deadlines.The ECG team knows how to produce top-quality multi-platform content under even the toughest circumstances. This is a skill set that can’t be learned overnight, it can only be gained through years of working together as a finely-tuned unit in every phase of the production process. Learn more about Paleo Bites production in this podcast interview.